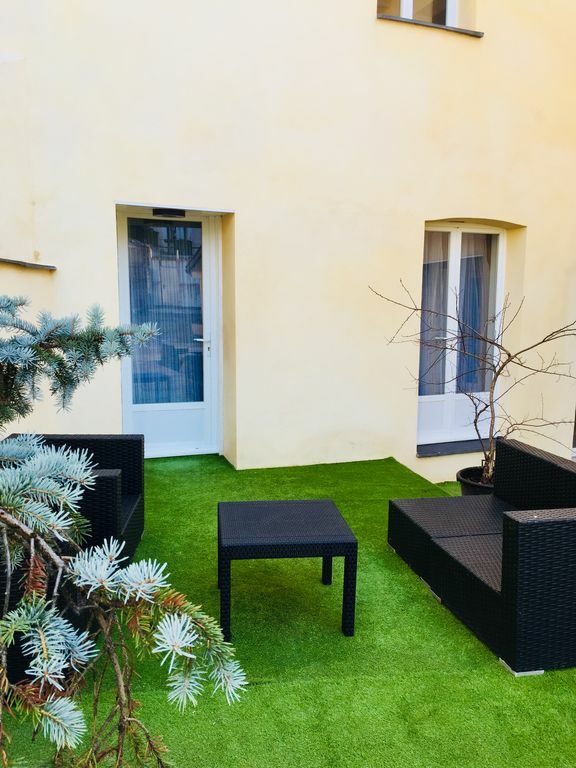 Charming apartment, very quiet, close to all amenities, banks, supermarkets, pharmacies, restaurants, ideally located in the city center of Lourdes in Villa Bigorra. 10 minutes walk from the sanctuary and the train station and 20 minutes from Tarbes Lourdes airport. On the ground floor of a secure residence with private parking and furnished terrace. The apartment has 3 double beds (1 of 160cm, 2 of 180cm), 6 people. The possibility also to use an umbrella bed, provided on request. Fully equipped / sheets / towels and everything needed to cook. Ideally configured for pilgrimages, ski and bike trips but also relaxing holidays.